Admission is free. There is limited seating, so kids are welcome to bring a floor mat. Abandoned Ships is geographer, teaching artist, storyteller, and puppeteer Milissa Orzolek. She fell into the world of puppetry in 2010 as a puppeteer with a production of "Fantastic Mr.
Fox" in New Orleans. Since that time, she has puppeteered in the New Orleans Fringe Festival, the New Orleans Giant Puppet Festival, Potpourri at the National Puppetry Festival in Hartford, and Puppet Slamwich in Baltimore. In 2016, Abandoned Ships received a Jim Henson Foundation Family Grant for the original production "What Keeps Us." Ms. Orzolek worked with Wayne White (the Emmy-winning artist behind Wayne-O-Rama) during his UNScene residency in Shreveport, La. in 2014 and co-puppeteered a giant version of Bonnie Parker for White's culminating project: a giant puppet parade featuring prominent local musical and historical figures. Abandoned Ships will be performing two pieces at Wayne-O-Rama: "The Egg" and "What's Next?" 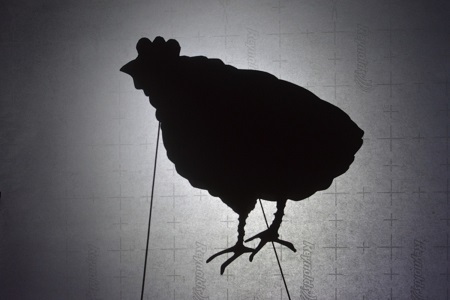 "The Egg" is a short, funny shadow show inspired by the works of Richard Bradshaw. "What's Next?" is about a puppet who values the building blocks of society and becomes distraught when the blocks are stolen and no one else seems to care. 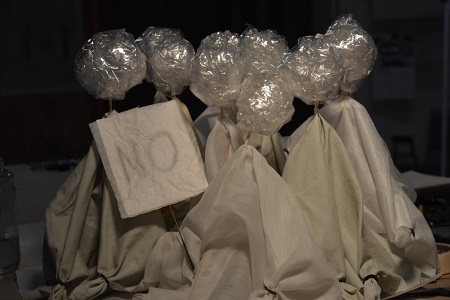 The show combines rodded and stringed marionettes and paper puppets in a large, toy-theatre style stage to explore ideas of apathy, collective action, and social responsibility.